What is the best way to put a knight in full plate armor in their place? Show them the effectiveness of this Battle Mace! 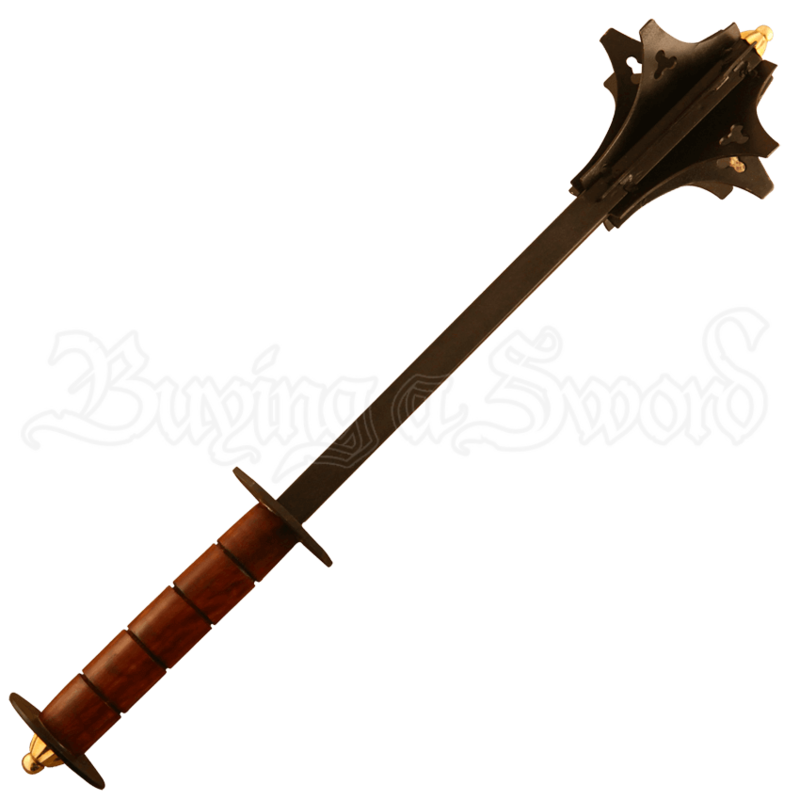 This mace was made to match the appearance of historical blunt weapons, while also featuring a rugged and hardy strength. Maces and bludgeons in general, were traumatic weapons that had a particular effectiveness against warriors, soldiers, and knights wearing heavy armor. This mace features a flanged head that consists of weighted end capped with several metal protrusions, the purpose of which was to dent, penetrate, and puncture armor. The mace-head is attached to a long shaft, which is attached to a grooved grip to ensure the strongest hold possible. The grip is flanked on either side by a metal disc, which keeps the hand in place, while a small brass decoration adorns the bottom of the mace. There is a sort of simplicity to the effective nature of this Battle Mace, making it a fantastic weapon to wear at your side when you head to the renaissance fair, as well as a great weapon to display in your home for all to see.